I would like to split the Notepad++ window so that I can edit two files side by side. 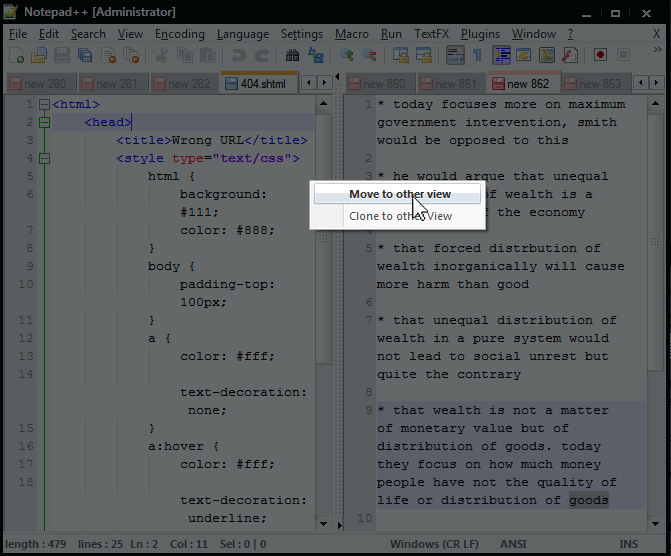 In Notepad++ 5.7 you can right-click on a tab and select "Move to Other View". You can also select "Clone to Other View" if you want to have the same file open more than once and see different parts of it. You can right-click the divider line and rotate the views to be either side-by-side or top-and-bottom. 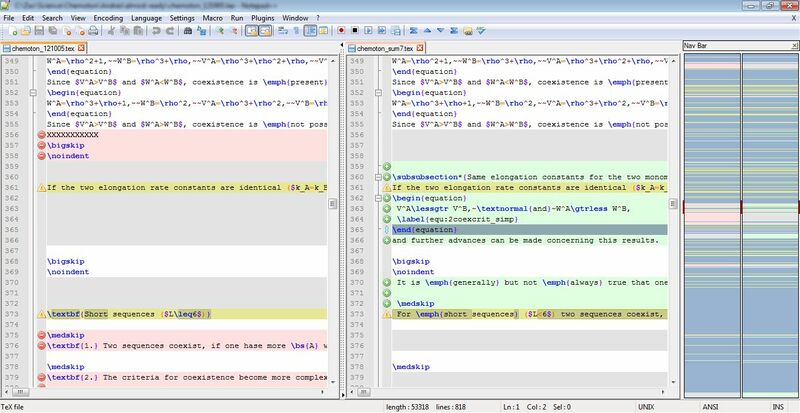 As mentioned in the comments, there's a very handy compare plugin for Notepad++, that allows side-by-side comparison, indicating discrepancies. As well as moving or cloning the document to a separate view pane, you might want them to scroll together too, in a truly "side by side" manner. This makes it much easier to perform line-by-line comparison, for instance. To achieve this, go to View -> Synchronize Vertical Scrolling (or Synchronize Horizontal Scrolling). This may be sufficient for many, without requiring the need for the Compare plugin others have mentioned. I saw several people answered, but no one answered the way I do it. All I do is I grab the tab I want to drag to the other view and I literally click, hold, and drag the tab off the tab bar. Now Release Your Mouse Cursor anywhere in the window and you will see a dialog window pop up. So now choose that, and voila, it pops over to the other view! You can do this same thing to move tabs between views from left-to-right or right-to-left as well. It is pretty straightforward, just go to: View → Move/Clone Current Document → Clone to Other View. You can even compare two files side by side (without changing the view) using COMPARE plugin, as long as you have two files at the end of the tab. Here is an example. The keyboard shortcut for comparing is ALT+D. To Clear comparison, CTRL+ALT+D. I use this far too often to use anything other than a keyboard shortcut. Settings -> Shortcut mapper -> line_146 -"Move to Other View". Click 'Modify' and create your own shortcut. To use it, select the tab you want to move to the other view and type your shortcut. To move it back to a single view again, type the same shortcut on that tab again. How do I open 2 instances of the same file in notepad++ side by side with their own scrollbars in a single Notepad++ window? 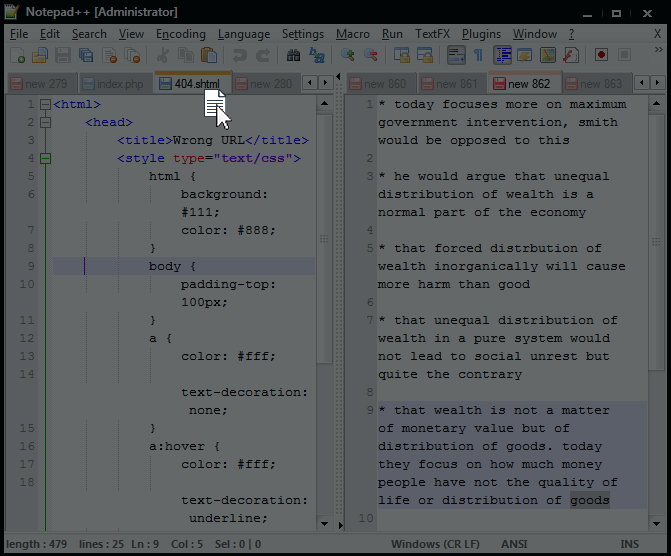 Can I get split screen in Notepad++ like Emacs? view contents of notepad++ tabs simultaneously? How to make Notepad++ open file browser in current folder? How to move files in Notepad++ to the left side? 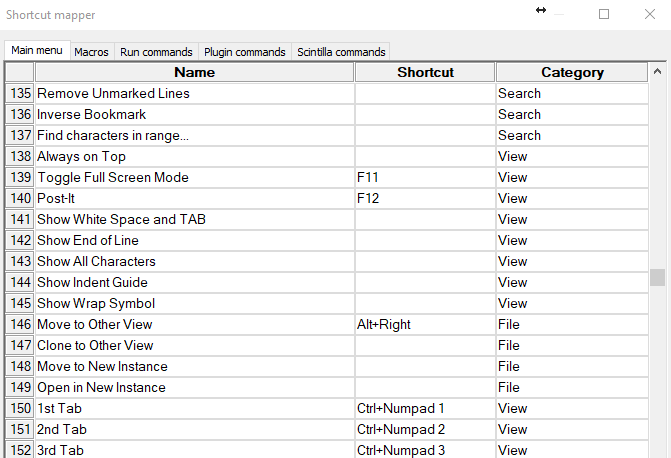 How can I make Notepad++ actually start maximized?